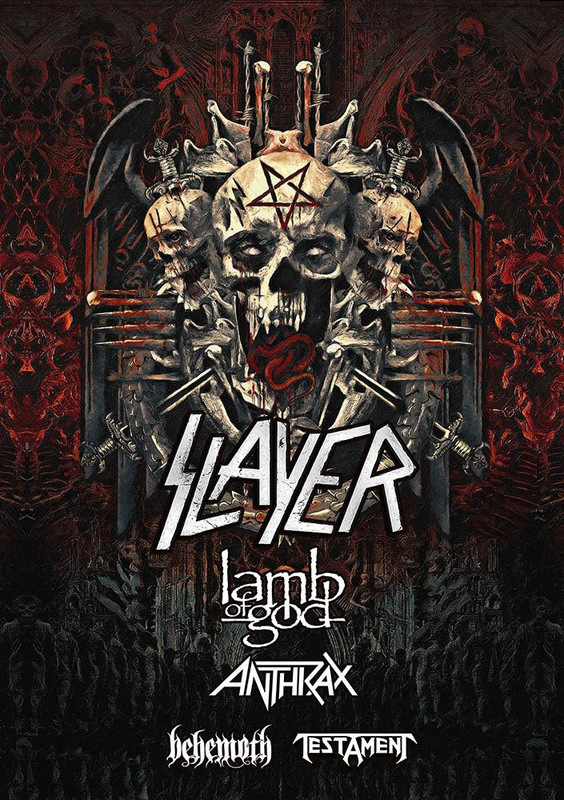 “While it is a tragedy that a LAMB OF GOD fan died following a performance by the group, in no way do I feel that Randy did anything improper that led to the young man’s injuries and subsequent death. The price of a ticket to a show does not entitle audience members access to a band’s stage. In the years since the murder on stage of Dimebag Darrell Abbott, performers of all genres have had to become more guarded while performing in response to the dangers presented by fans trying to become part of the performance. We believe that Randy responded professionally to the numerous amount of fans rushing the stage that day, a number of them captured on videos that have been posted on the internet. We have testimony from the venue operator that acknowledges lax security and an improper barricade being used that evening. Numerous testimonies from fans also were contradictory as to the actions of the multiple fans that tried to access the stage. LAMB OF GOD vocalist Randy Blythe has issued an official statement following his release from Czech jail. He was arrested and criminally charged in connection with the death of a concert goer at a LAMB OF GOD show about two years ago. Blythe is out on bail and must return to the Czech Republic to face the charge. “1. While in prison, I had minimal knowledge of how my case was viewed anywhere but the Czech Republic. I was told by Alex Spiro, my attorney that I had a lot support from peers in the music industry, my hometown, fans, and of course my family. I cannot express how emotional it made me upon my release to read about even a fraction of the voices that were raised on my behalf. From legends in my music community, to fans across the world, and even people who were previously unaware of my existence but sympathized with my plight- I am truly humbled. I cannot thank you enough for your thoughts and prayers. I would especially like to thank the people of Richmond, VA, for standing by me. In the 48 hours I have been home, many people I have never met before have stopped me on the street, waved and smiled as I passed by, or said hello in a restaurant. All have said “We are glad you are home, Randy”. You all make me proud and grateful that I call Richmond home. “2. I would like state that I suffered no abuse, from either authorities or inmates, during my incarceration in Pankrác. I received no special treatment, and was in general population with everyone else- make no mistake, it was prison, not some celebrity rehab tv show. But I was treated fairly by the guards and kindly by my fellow inmates. People are dying of starvation all over the world. Men and women are losing their lives daily in the Middle East and other war torn regions. I had food, clothes, shelter, and no one was trying to kill me. I cannot complain over a short stay in prison while many people elsewhere fight to survive on a daily basis.